Jordan Brand has released several varieties of the Air Jordan 1 Phat Low this year and this November, another simple yet stunning edition is set to drop in the market. The Air Jordan 1 Phat Low will be coming out in Black/Light Charcoal – White colourway, which features a black suede upper part and perforated nubuck panels. 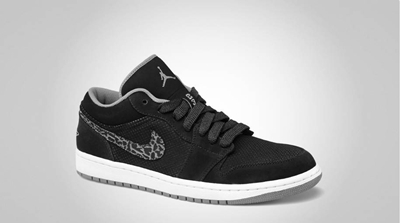 The silhouette also has a charcoal-colored inner lining and a light grey outsole. If you are looking for a sneaker that will look good on your daily attire, this one is absolutely for you!